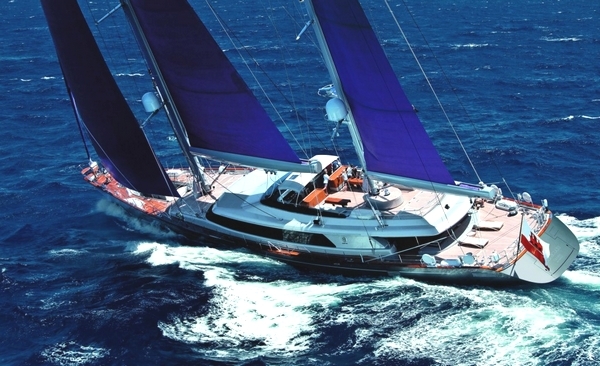 Cover Photo: Scheherazade, a 155′ Ted Fontaine-designed ketch. Image by Onne van der Wal. Hodgdon Yachts of East Boothbay, Maine launched of the 155′ ketch, Scheherazade. She is a beautiful union of wood/epoxy technology, elegant design and superior craftsmanship. 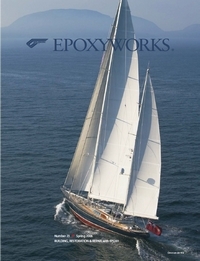 This entry was posted in Boat Construction, Yacht & Large Vessel Construction and tagged 23, cover story, Epoxyworks #23, Scheherazade, Spring 2006, Steve Gembrowski on January 26, 2015 by ewadmin. Cover Photo: The 154’7″ Bruce King-designed Scheherazade resting on her massive keel at Hodgdon Yachts in East Boothbay, Maine. 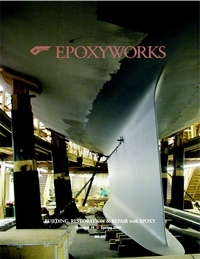 This entry was posted in Epoxy Products, Materials Testing, Techniques & Tips, Yacht & Large Vessel Construction and tagged 19, Brian Knight, Bruce King, cover story, Epoxyworks #19, Hodgdon Yachts, Scheherazade, Spring 2002 on November 3, 2014 by ewadmin.